The Skinny Bit*c Collective — an invite-only wellness group — have been slammed for their “disgusting” retreat held in Kenya, where they were accused of using local tribesmen as “props”. 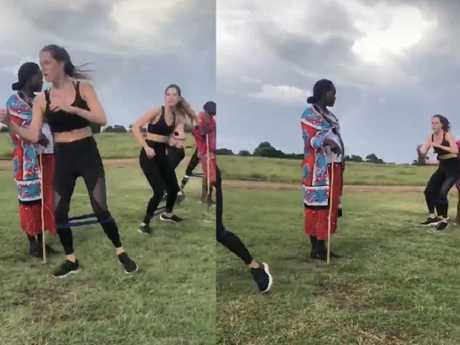 An invite-only fitness group that calls itself the "most exclusive fitness class on the planet" has been slammed online after hosting a wellness retreat in Kenya where they've been accused of using local tribesmen as "props". The Skinny Bit*h Collective - a fitness clique created by celebrity trainer Russ Bateman - has been heavily criticised after a series of video posts from its latest retreat emerged after being shared by the Diet Prada Instagram account on Friday - which coincidently, happened to be International Women's Day. In the clips, a number of women can be seen working out while local Maasai tribesmen stand nearby looking on. "Ummm...happy International Women's Day? Russell Bateman, the white male mastermind behind the invite-only fitness collective SBC (Skinny Bit*h Collective), took a gang of seemingly cloned, pony-tailed white women on a retreat in Kenya," the post began. "Among the sisterhood-fostering activities like hot air balloon rides, chef-prepared organic meals (that chia berry jam! ), and dancing 'round a tree of life', they also managed to use the local Maasai people not only as a backdrop, but as literal props in their fitness routines. "Some videos have already been deleted, but screenshots appear to show the girls writhing around the locals like an obstacle course. "Booty twisting on Maasai cloth chick deserves special mention...real classy lol. "It's 2019 and apparently people still haven't learned that POC/ethnic groups don't exist to embellish already privileged lives. 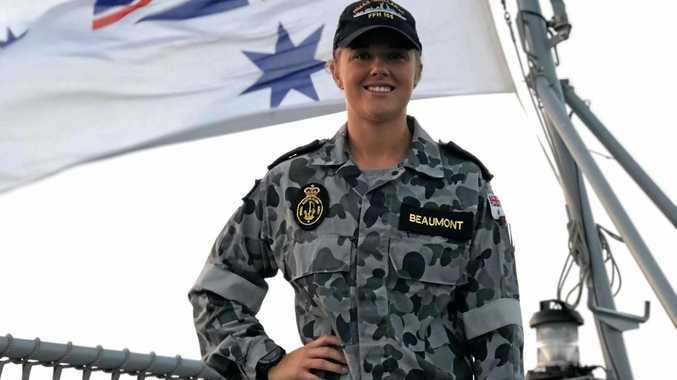 The Colonial mindset is alive and well I guess..."
Since the controversial footage and photos were shared, the post has received thousands of comments from people outraged by the "disgusting" behaviour and lack of cultural understanding and respect. Images from the exclusive retreat show participants weaving in and out of locals in what social media users have branded “gross”. One wrote: "This is gross. I'm Kenyan and I can tell you the Maasai are a proud people. "Making them do this, on land that was there's to roam freely, stolen by colonisers who now call themselves conservists who promote such activities is grossssssss!!!!" Another said: "This is ignorant beyond comprehension... the biggest insult to women and the tribesmen ever. So disturbing." One person wrote: "Everything about it is gross and disrespectful. I just looked up him and his 'skinny bit**es' and they look like a cult." Countless others simply branded it "disgusting" and "shameful". The SBC was launched in London and follows a bizarre "animalistic" exercise technique where Bateman reportedly orders his members to do unusual physical activities, such as crawling on the floor, wrestle with one another and even telling them to throw their TVs out the window. The creator of the group posted an apology to their Instagram account that has since been deleted. Its elite nature has attracted some major celebrity fans, including Suki Waterhouse and Ellie Goulding. Insider reported yesterday that the fitness group posted an apology to their Instagram account, but the page has since been deleted. It said the retreat was meant to promote "cross-cultural exchange," but the group realised it had reinforced "colonial-era depictions of people of colour". "It has been rightly pointed out that far from promoting a positive meeting of opposing cultures, we may have instead unintentionally played into a racial history of 'othering'," the apology added. What are your thoughts on the controversial workout? Do you think the group deserve to be slammed or was it an honest mistake? Let us know below.